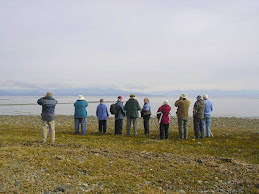 The Tuesday bird walk went to the Englishman River Estuary on the Shelly Road side in Parksville.. 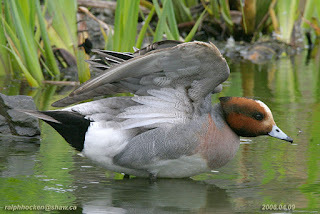 The morning was clear and sunny with calm winds, making for a very pleasant bird walk. We had great views of a Great Horned Owl watching us as he perched next to the trunk of a tall tree just off the trail. Golden-crowned Kinglets and Ruby-crowned Kinglets were seen feeding on the trees along the trail. We were entertained royally by the five Woodpecker species on the island during morning. A Pileated Woodpecker was perched at the top of a tall tree, six Northern Flickers were seen throughout the morning, a Red-breasted Sapsucker flew in to give us a quick view, a Downy Woodpecker was seen feeding on the trunk of a tree and two Hairy Woodpeckers, one we had closeup looks at as he was pecking at a log on the ground just off the trail and the other was feeding on a deciduous tree trunk. Four Eurasian Wigeons were in with a very large flock of American Wigeons. 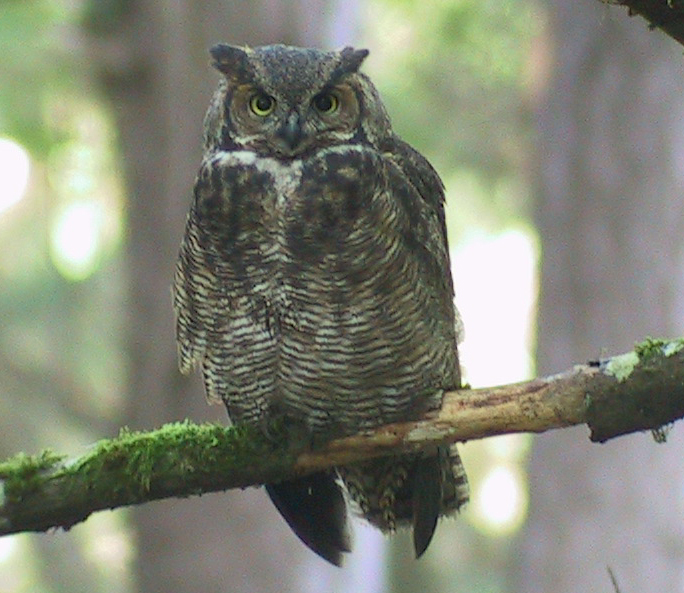 The Tuesday Bird walk on October 31, 2017, will be going to the Lot Ten in Qualicum Beach. Meet at the Parksville Community Park (at the parking lot in front of the Lions Club Playground) at 9:00 a.m. or at Brandt viewing platform(off highway 19a in north Qualicum Beach) at about 9:20 a.m.